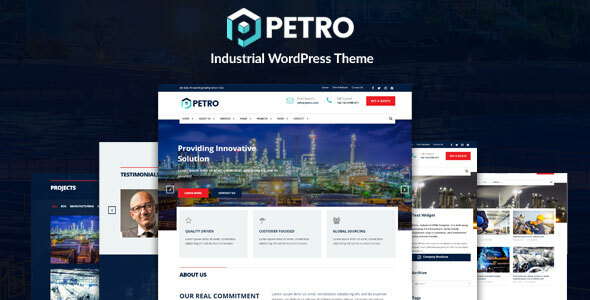 Petro is a stunning, clean and fresh WordPress theme. 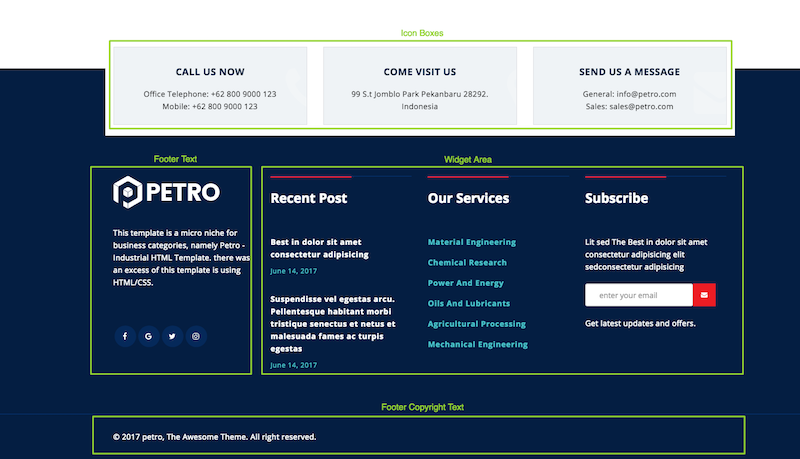 This theme easily fits for any kind of website demographics. Aside from just looking beautifully polished and clean, it comes packed with features and options, powerful Redux Framework. This theme does not require anything except only version of WordPress 3.7 or higher. Go to Dashboard > Appearance > Theme Options > Site Identity > Image Logo, Click "Upload" button. 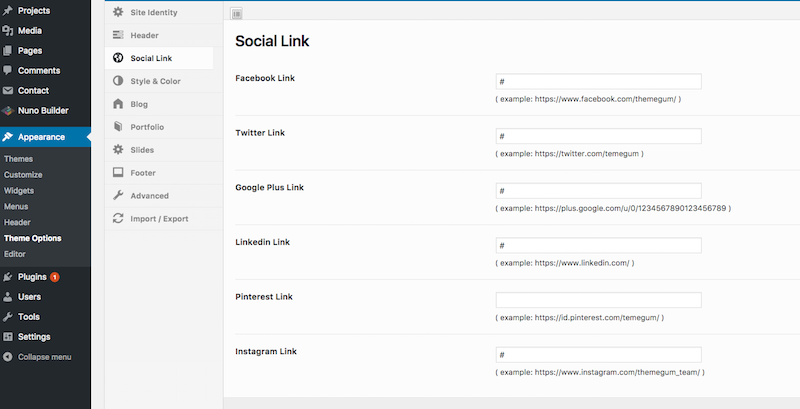 Dashboard > Appearance > Theme Options > Social Link, Fill the fields then click Save Changes. To display social icon at bottom/sidebar can using Petro Social Icon Widget. Dashboard > Appearance > Widgets. Drag "Show Social Icon" to widget area ( Sidebar or Bottom ). In addition to change top bar height, you can control from Go to Dashboard > Appearance > Theme Options > Header > Top Bar, Put your height value in px then click Save Changes button. 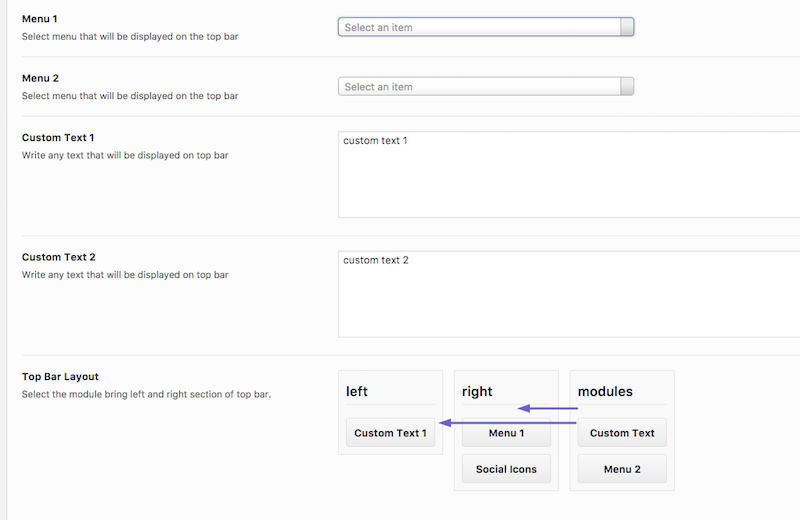 Top bar layout can arrange as many posibility, place menu, custom text and social icon at left side or right or both. Just drag those element and bring to the holder. In addition to change top bar height, you can control from Go to Dashboard > Appearance > Theme Options > Header > Top Bar. 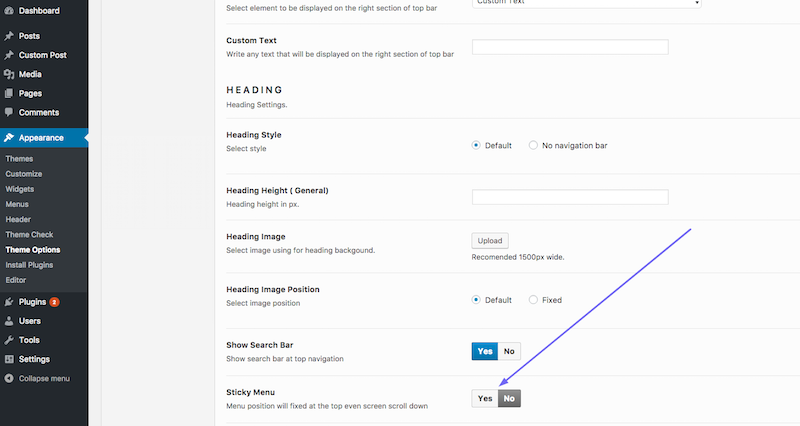 In addition to change top bar height, you can control from Go to Dashboard > Appearance > Theme Options > Header > Top Bar, On field Sticky Menu click "Yes" to set sticky top bar or "No" to normal position then click Save Changes button. Heading info icon when heading style on default mode. In addition to adding/remove/order icon info, you can control from Go to Dashboard > Appearance > Theme Options > Header > Icons Bar, Click "Add More" btn to add more info, or remove the info. Once finish Save Changes button. The position of info info section can arranges as you want. From Go to Dashboard > Appearance > Theme Options > Header > Icons Bar Layout, Move up/down for module ordering. Once finish Save Changes button. In addition heading setting, you can adding heading image and set different heading image for single page, single post and general page. Footer area have 4 sub-area. Icon boxes, widget area, footer text and footer copyright. In addition to showing or hidden the widget area an footer, you can control from Go to Dashboard > Appearance > Theme Options > Footer > Icon Boxes, Click on or off to enable and disable. In addition to showing or hidden the widget area an footer, you can control from Go to Dashboard > Appearance > Theme Options > Footer > Widget Area, Click on or off to enable and disable. 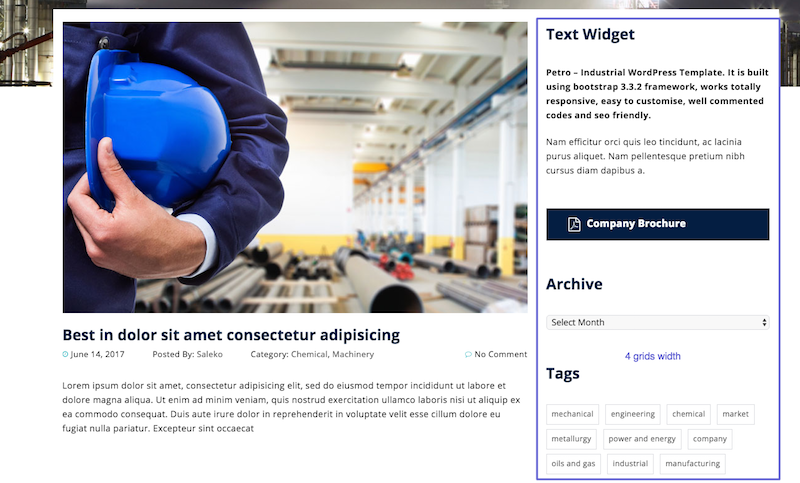 In addition to define how split bottom widget area into several colum, you can control from Go to Dashboard > Appearance > Theme Options > Footer > Widget Area > Footer Widget Columns, tick on radio option then click Save Changes. This is general setting for blog. Go to Dashboard > Appearance > Theme Options > Blog, tick on radio option then click Save Changes. 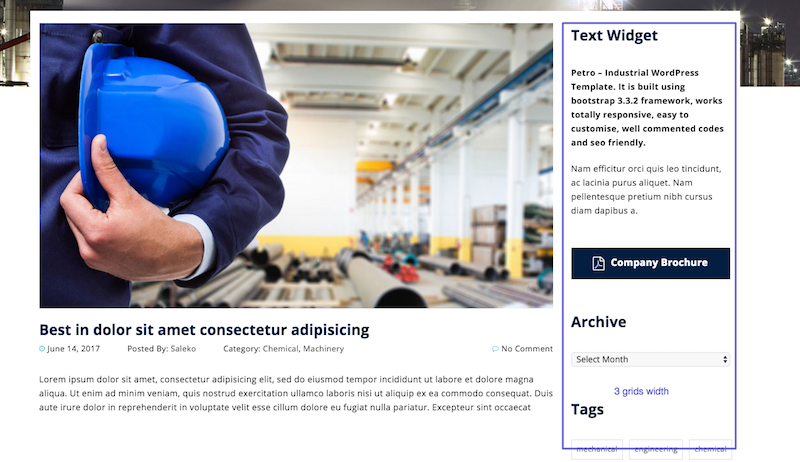 Since version 1.1.0 Petro WP have ability to control sidebar width. This option give more experiance for each user. 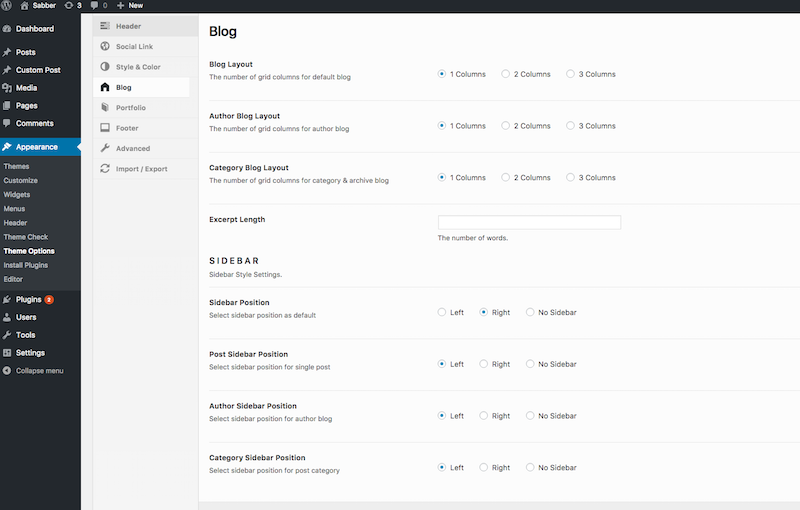 Go to Dashboard > Appearance > Theme Options > Blog > Sidebar > Sidebar Width, select width then Save Changes. Petro WP have native slide show. This feature give user solution displaying beautiful slideshow without 3rd party plugin needed. 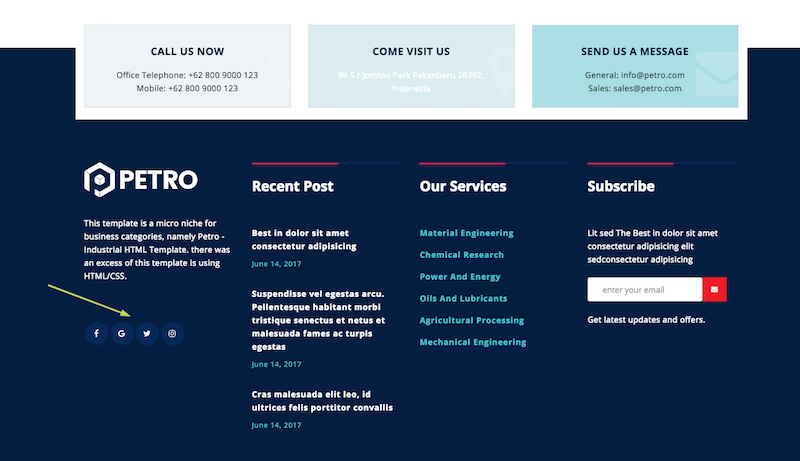 Petro WP using jQuery Superslides by Nic Aitch as slideshow engine. Go to Dashboard > Appearance > Theme Options > Slides. To display slideshow can using "nuno element". 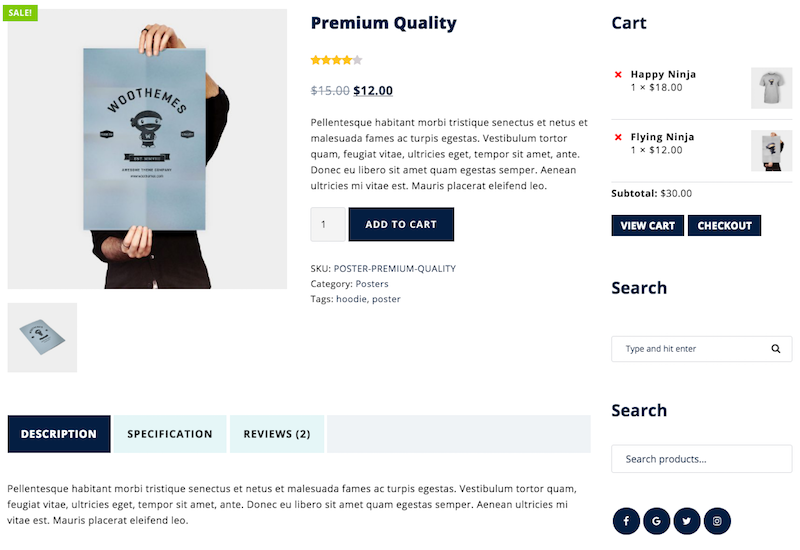 Since version 1.1.0 Petro WP have WoocCommerce layout with many option available. 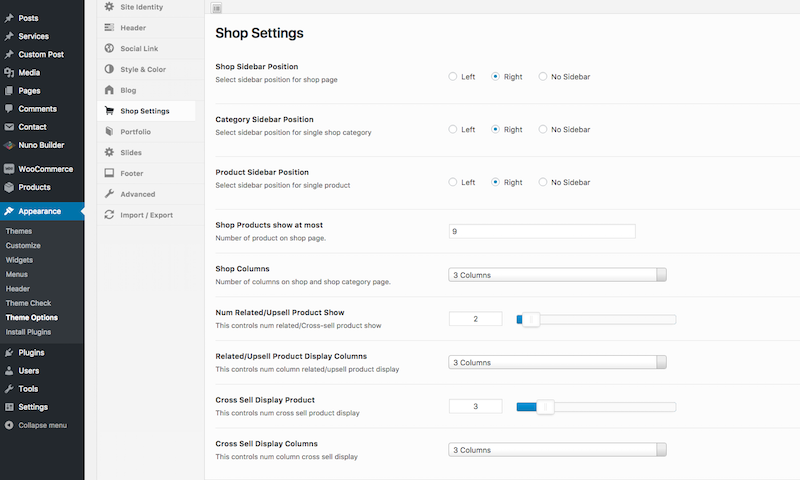 Go to Dashboard > Appearance > Theme Options > Shop Settins. Petro is localized and you can easily translate it to any language you like. Please make sure that the font that you are using on your website is supporting your language characters. For example Cyrillic characters. 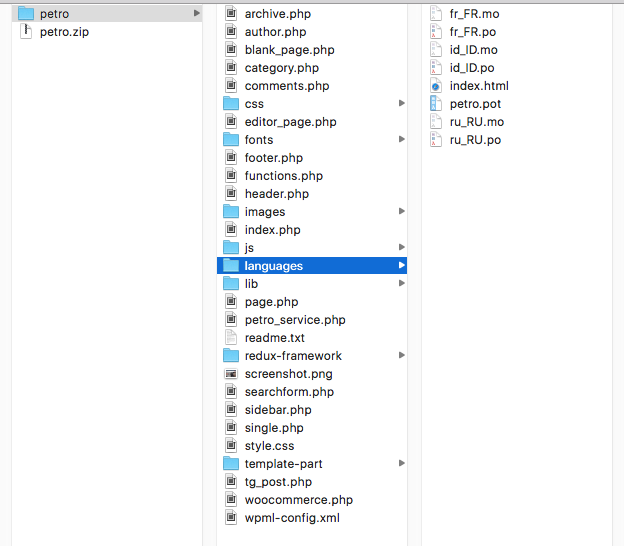 Step 2 – Open .po file identified to language code used in /languages directory. Example if you need Bahasa will named id_ID.po then go Step 4 if .po file not found you must create .po file from .pot file or copying from other language code ( go Step 3 ). Step 3 - Creating .po file. 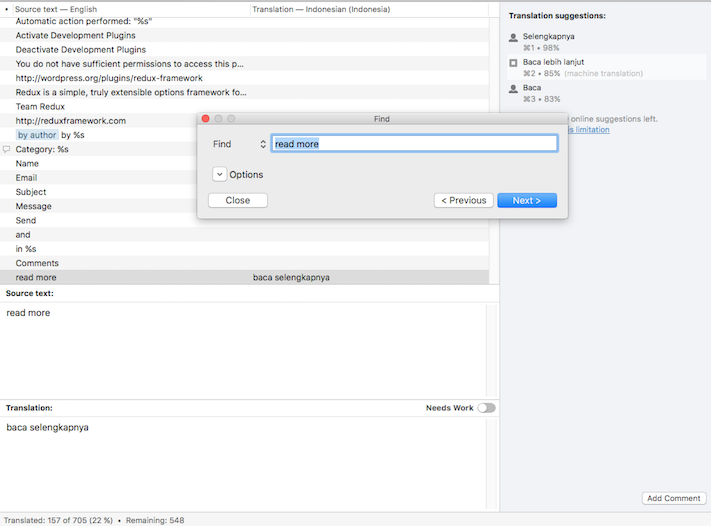 Step 4 – Search for string you want to translate into, then save it. Step 5 – Once you’ve done with steps above, navigate to Settings > General > Site Language. Select your language from select option. Before importing proccess, make sure the demo_content.xml file availbale. 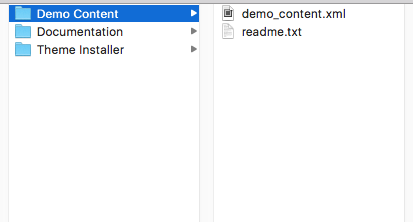 You can get the demo content in Demo Content folder file where this file is included in downloaded zip file. 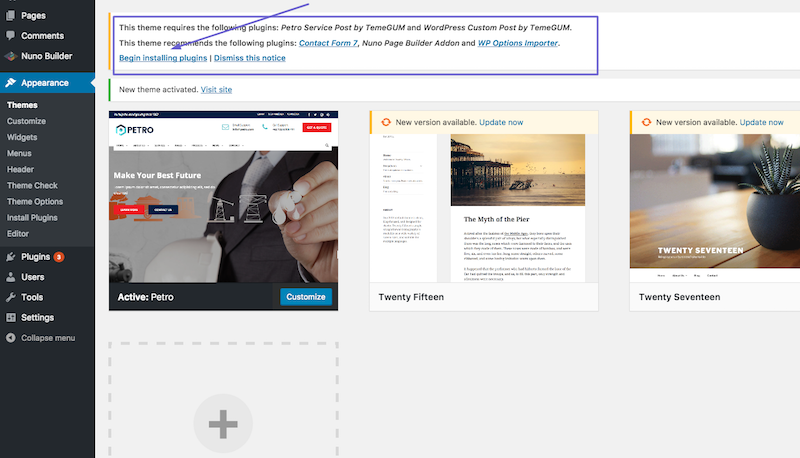 From Admin Panel : Tools > Import > WordPress, click choose file button and then select corresponding file from demo_content.xml. Continue with Upload File and Import. Before importing proccess, make sure the options.json file availbale. You can get the demo content in Demo Content folder file where this file is included in downloaded zip file. From Admin Panel : Tools > Import > Options, click "Run Importer" link and choose file button and then select corresponding file from options.json. Continue with Upload File and Import. Select "All Options" or Specific options ( if you known what option want imported) and tick Override existing options option. Before importing proccess, make sure the theme_options_OPEN_USING_TEXT_EDITOR_PUT_CONTENT_AND_PASTE_IN_THEME_OPTIONS.json file availbale. You can get the demo content in Demo Content folder file where this file is included in downloaded zip file. Open the file using text editor, copied all content. Go to Dashboard > Appearance > Theme Options > Import/Export > Import Options, select Impport from File button then paste copied settings then click Import button and Save Changes. 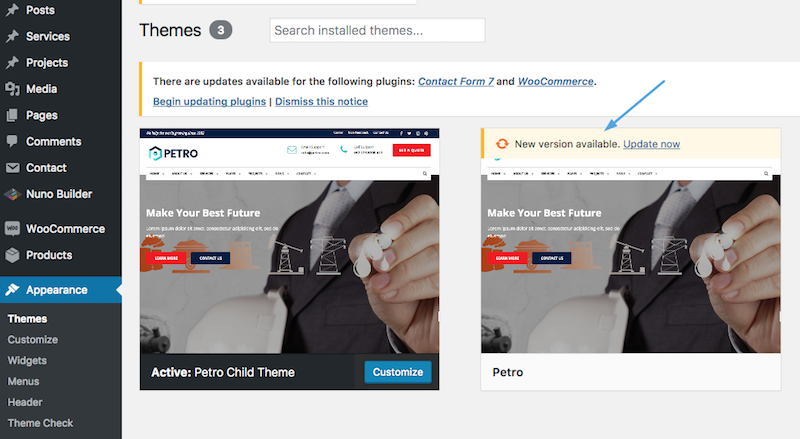 Petro have theme update notification. Your active website will get notification each update released. To activate update notification you must put valid Purchase Number from your download item. Go to Dashboard > Appearance > Theme Options > Advanced > Item Purchase Number, then enter Save button.